Not that it’s a terrible surprise but writer-artist Jim Steranko, who had a legendary run on Nick Fury, Agent of S.H.I.E.L.D. 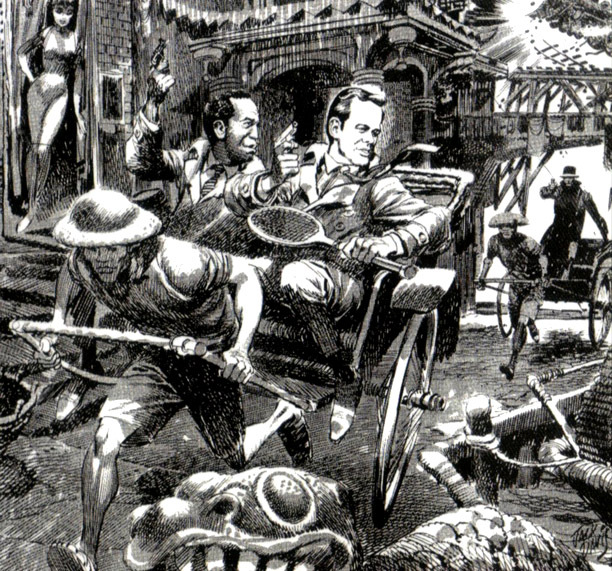 in the 1960s, was a big fan of 1960s spy entertainment. His S.H.I.E.L.D. stories included a weapons master named Boothroyd. 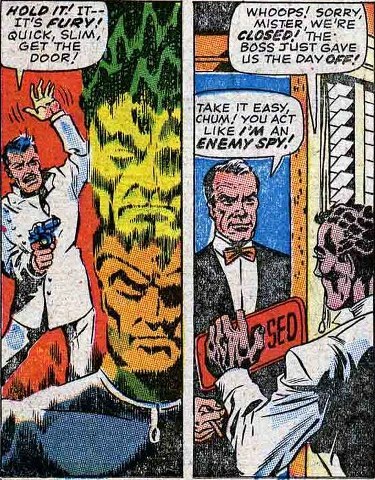 He also had the Sean Connery version of James Bond make a one-panel cameo in Strange Tales No. 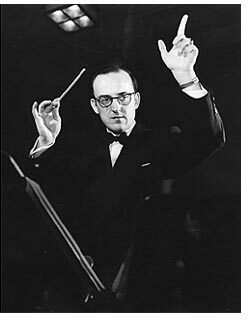 164 in 1967. 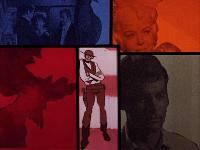 Anyway, Steranko takes questions from fans (or “henchmen”) each Sunday night on Twitter. The Spy Commander couldn’t resist. So I asked if he had seen The Man From U.N.C.L.E. during the period.
.@TheSpyCommand Hey, SC! 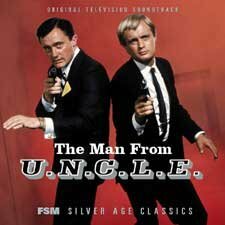 Not only viewed UNCLE in those days, but SECRET AGENT MAN, I SPY, MISSION: IMPOSSIBLE and even GET SMART!
. @TheSpyCommand I even remember BARRY NELSON as THE HUNTER! Gotcha there!!! I needed to look it up. The Hunter was a 1952 series where, according to IMDB.COM, Bart Adams used the cover of an international businessman to battle Communist spies. Barry Nelson was the first actor to play James Bond in the 1954 CBS television production of Casino Royale. Jeanette Nolan in The Man From U.N.C.L.E. 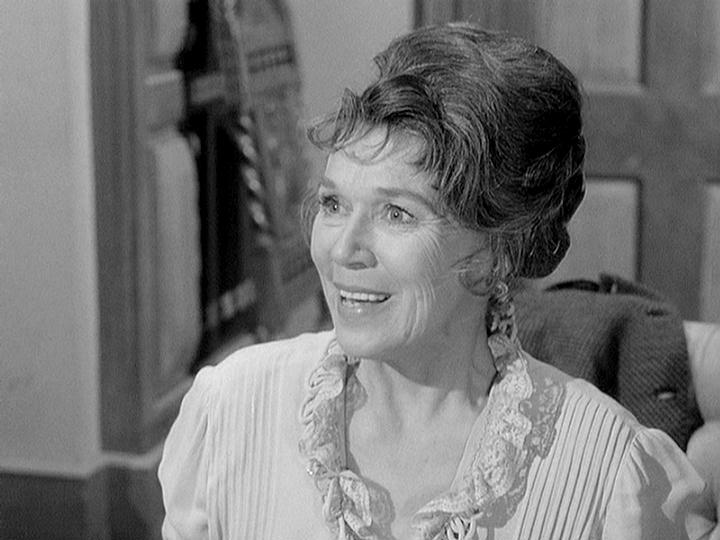 “Jeanette Nolan…well, she continues to amaze me,” Richard Boone said in 1963 at the end of the initial broadcast of the anthology show that bore his name. “She’s a remarkable actress,” Boone said. Nolan was part of the “company of players” who appeared in the weekly Richard Boone Show anthology series. Indeed, Nolan proved her talents repeatedly over a half-century career. From playing Lady Macbeth opposite Orson Welles in a 1948 movie to numerous guest appearances on television, Nolan was a chameleon. Her appearance, diction and accent all changed in response to the characters she played. 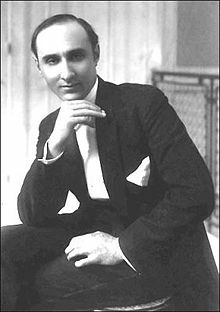 Naturally, such a versatile talent was seen many times on spy and related television shows. Among them: Edith Partridge, the eccentric but deadly wife of villain G. Emory Partridge in The Man From U.N.C.L.E. ; two episodes of I Spy (one as the contact for Kelly Robinson and Alexander Scott); one episode of Hawaii Five-O; and one episode of The FBI. Nolan was part of an acting family. Her husband was veteran character actor John McIntire (1907-1991) and her son was Tim McIntire (1944-1986). She on occasion acted together with her husband, including the Western series The Virginian. Jeanette Nolan was never a star, with the exception of Dirty Sally, a short-lived spinoff series from Gunsmoke. Nolan’s IMDB.COM entry lists 200 acting credits. She died on June 5, 1998, at the age of 86. The Fox television network has committed to the production of a pilot for a new series that would be based on the I Spy television series, DEADLINE: HOLLYWOOD reported. The pilot, at least for now, wouldn’t carry the I Spy name and would only be “loosely” based on the 1965-68 series, Deadline’s Nellie Andreeva wrote. “I hear that during the discussions with the network, the idea evolved as Fox brass were not interested in a straight I Spy remake but instead a new take on the buddy spy genre,” according to Andreeva. It will be written by David Shore and directed by McG, Deadline reported. Also involved is producer John Davis, one of the producers of the 2015 movie version of The Man From U.N.C.L.E. In the original series, Kelly Robinson and Alexander Scott (Robert Culp and Bill Crosby) were U.S. agents operating under the cover of a tennis pro and his trainer. 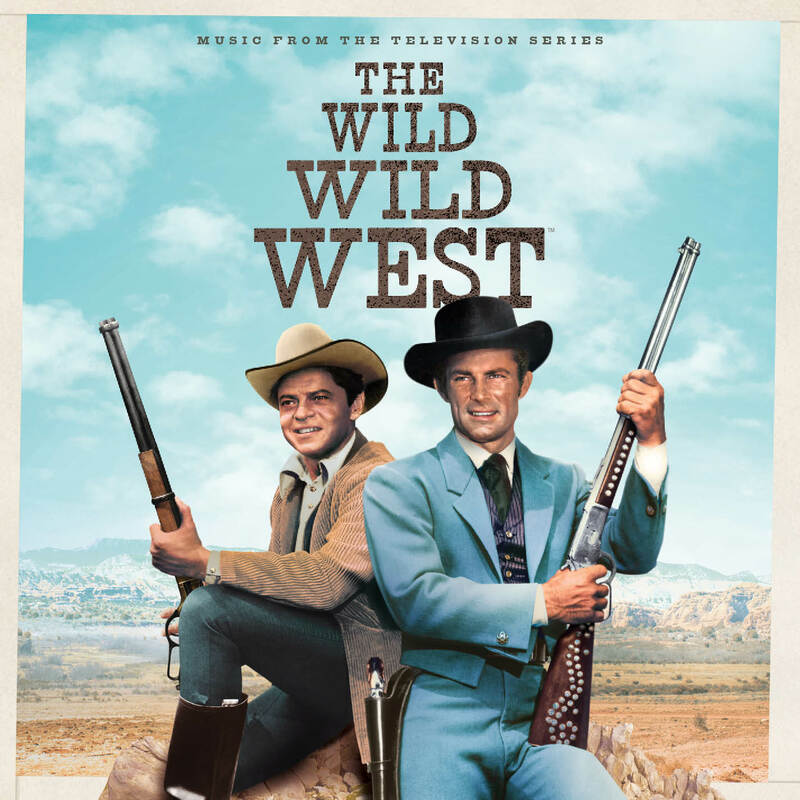 Of 1960s American spy shows, it was the series most grounded in the Cold War and relatively realistic, compared with U.N.C.L.E., The Wild Wild West, Mission: Impossible and the comedy Get Smart. I Spy has had a checkered post-series history. Culp and Cosby were reunited in a 1994 television movie, I Spy Returns, featuring aging versions of their original characters. In it, both have grown children operating as spies. That TV movie didn’t generate interest in any further adventures. 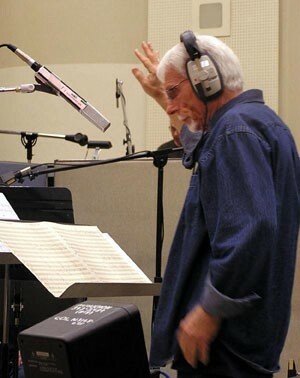 It did, however, posthumously provide a creator credit for Morton Fine and David Friedkin. 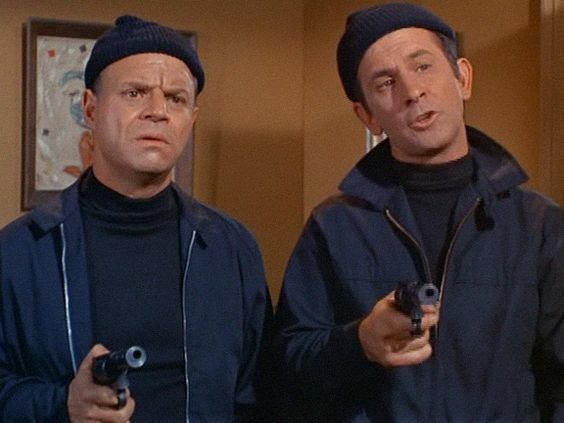 The two were producers of the series, but never received credit for creating the show while it was originally broadcast. Sheldon Leonard, executive producer of the original, had that title for the TV movie, along with Cosby. The show was also made as a 2002 comedy theatrical film with Eddie Murphy and Owen Wilson. That production still causes groans from fans of the 1965 series. 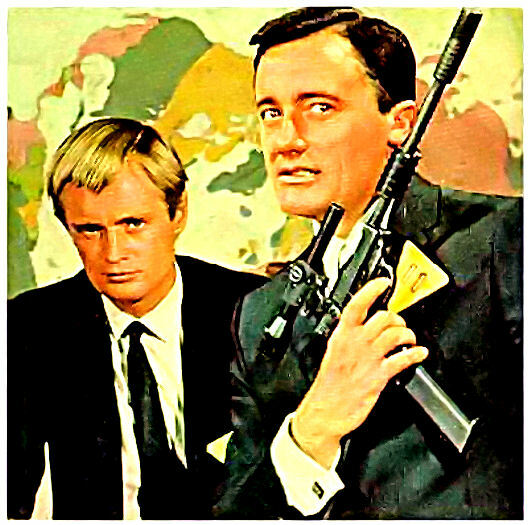 We were reminded how this month is the 50th anniversary of The Beatles meeting Robert Vaughn, the star of The Man From U.N.C.L.E. The gathering reflected how U.N.C.L.E., for a time in the 1960s, was a very big deal. It was the Fab Four who requested the meeting. They were fans of the show and wanted to see the actor. Vaughn was busy simultaneously being the lead in a U.S. television series and studying for a Ph.D. But the meeting took place anyway. U.N.C.L.E.’s history is very much one of ups and downs. It almost got canceled in its first season. It enjoyed its best ratings in its second season (1965-66). In fact, James Bond films actually benefited from U.N.C.L.E. Two 007 television specials, The Incredible World of James Bond and Welcome to Japan, Mr. 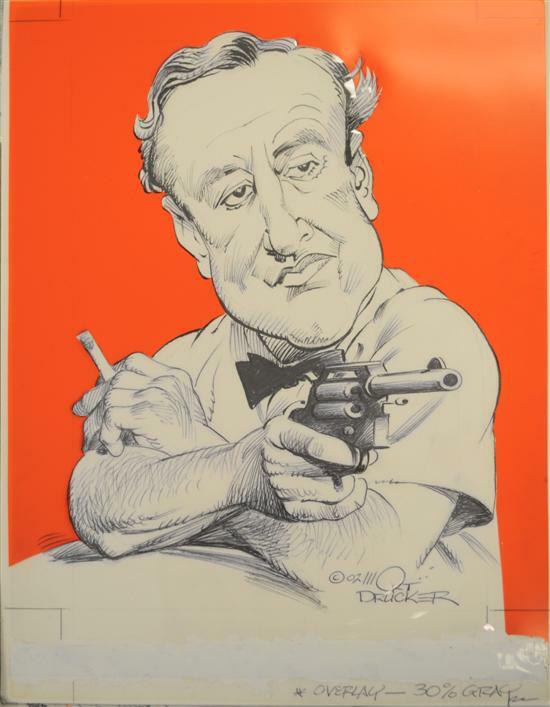 Bond (made to promote Thunderball and You Only Live Twice), aired in U.N.C.L.E.’s time slot on NBC. But by January 1968, U.N.C.L.E. was canceled as its ratings plunged. For the most part, U.N.C.L.E. was like catching lightning in a bottle — bright and powerful. For enthusiasts (including the Spy Commander, it should be noted), the light still shines bright. To the broader population, not so much. The same applies to other ’60s spy entertainment such as The Wild Wild West, I Spy and other shows. In the 21st century, the “lightning in a bottle” shows still are fondly remembered by the original fan base. Trying to interest younger viewers remains a challenge. A year ago this month, a new movie version of The Man From U.N.C.L.E. didn’t find an audience even as the fifth installment of the Mission: Impossible film series was a hit. So it goes. Nevertheless, those who were along for the ride originally still have their memories.